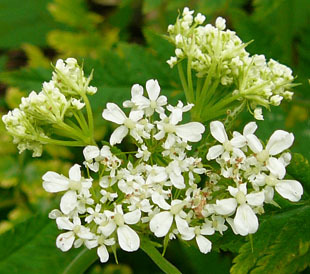 It is planted as a herb throughout the country. The escape is found mainly in the North. 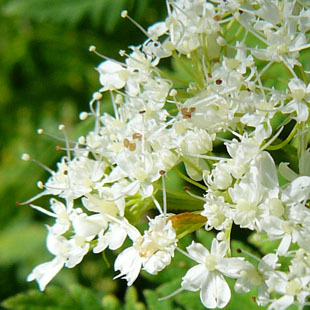 Sweet Cicely is a bushy, perennial herb growing up to 1m. It smells of aniseed when crushed. There are 2 divergent styles. 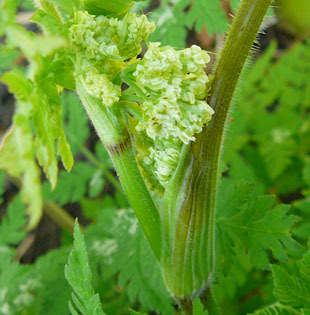 Fruits are green, cylindrical (upto 2cm), ridged and beaked. 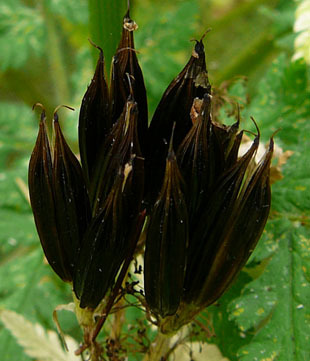 They turn black in June and July before the leaves die back. 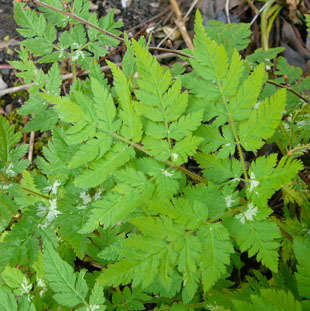 Leaves are up to 3 pinnate, delicate and fern-like. 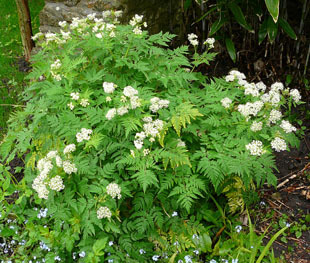 There are characteristic pale patches on the leaves. Stem leaves sheath the stem (last picture). 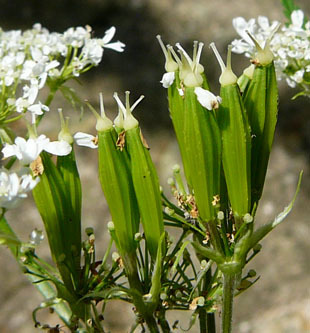 Stems are hollow and slightly grooved and hairy.